Anyone who knows me will tell you I’m not a planner. This trait, or lack there of, makes it difficult to bake bread. Bread takes time. Bread takes planning. Bread takes a lot of waiting. I don’t do “waiting” very well. (Hence the DASH part of this blog). 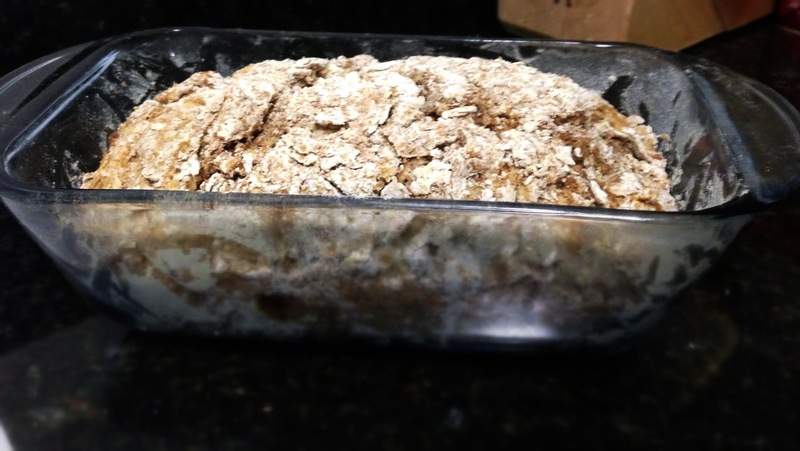 I do bake bread – if you want an easy recipe, I make Mark Bittman’s No Knead Bread. Sure, I make this delicious yeast bread once a month or so, but not often enough to have it AS my sole bread source in the house. 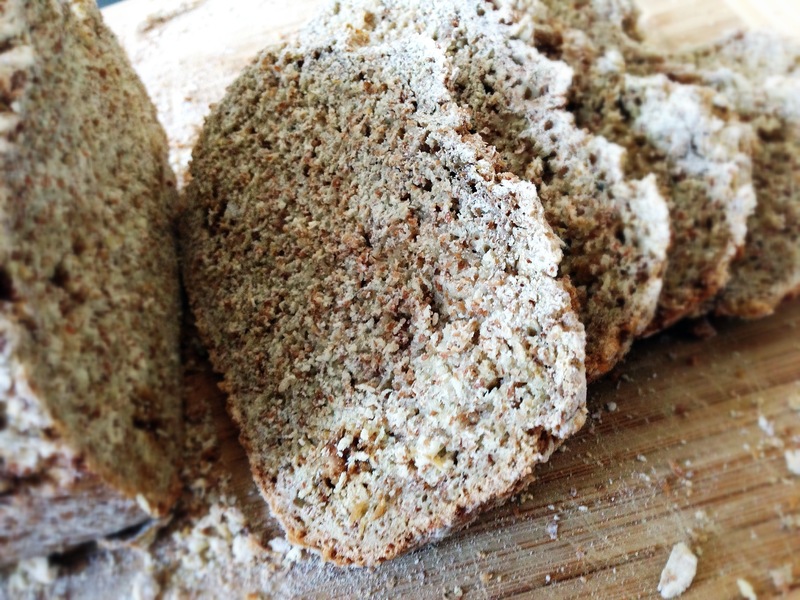 That all changed when my friend Emily, introduced me to this quick wheat soda bread recipe. This bread is a staple in her family, and I had never heard of it before. Now, I almost ALWAYS have this bread on hand, either on the counter or in the freezer. Whenever I hear “Quick Bread” I always think of banana, pumpkin or zucchini. However, “quick” just refers to using another leavening agent, such as baking soda (as used in this recipe), instead of yeast. This quick bread is so GREAT because it makes an actual SAVORY, HEALTHY, tons of FIBER containing wheat bread, and uses NO YEAST. Which means, you can decide you want bread, and have it made in under 90 minutes. It is delicious! 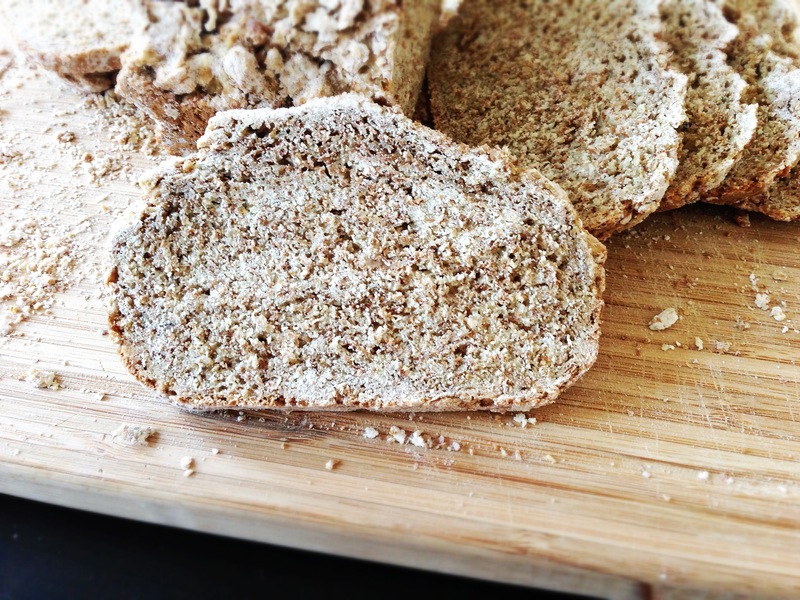 The wheat bran gives it a very hearty texture. This is healthy bread, no preservatives like in store bought breads. It is REALLY easy to make – it takes about 10 min to prep and 60 min to bake. It’s homemade bread. MMmmm. Hot, soft and hearty, right out of YOUR oven. I know this takes an hour to bake, and I said above, I don’t like waiting. But, I meant, like waiting for things to rise (LIKE 18 hours of waiting). Besides, when this is in the oven, you can do just about anything in your house. Let me offer some suggestions: gab on the phone, shower, clean the house, play a board game, watch tv, do some laundry… a combination of all these things… you get the gist. Ok. To be correct, I should probably call this bread: Wheat bran bread. But that really doesn’t have a nice ring to it. Most importantly, it doesn’t do the bread JUSTICE. This IS delicious bread. And it has part of the wheat in it – not the germ, but it has the outer part of the kernel – which is the bran. 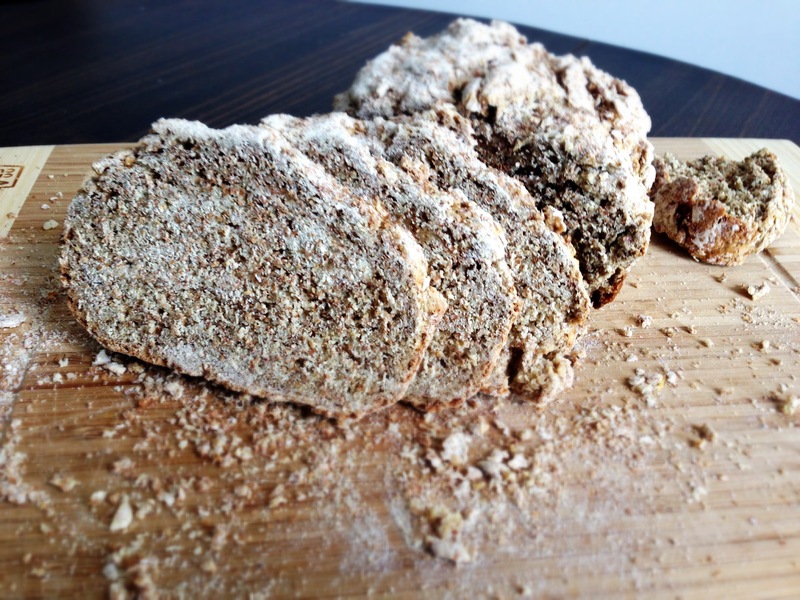 You can certainly make this bread with 1/2 whole wheat flour and 1/2 all-purpose flour. That is actually the original recipe from Emily. However, I changed it for the following reasons: 1. 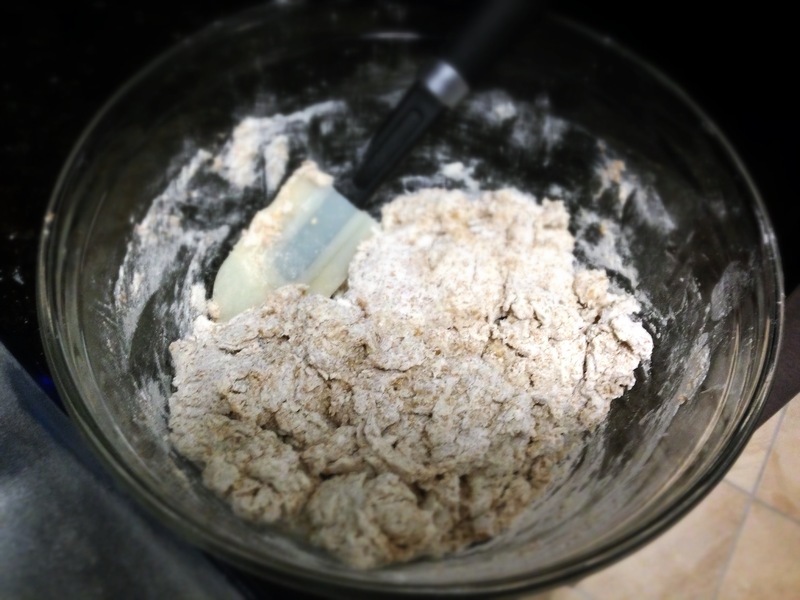 I didn’t have whole wheat flour when I made this a few times 2. 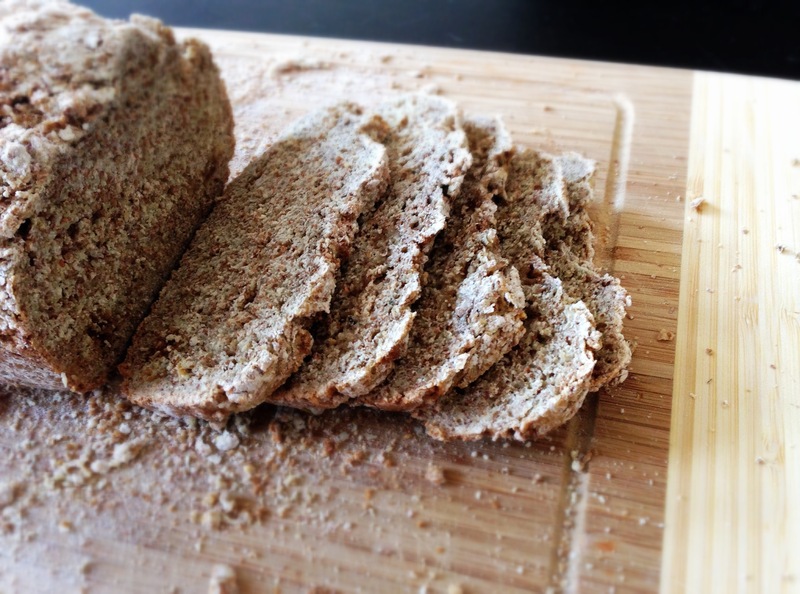 Using all-purpose makes the bread less dense and I liked it better for sandwich bread when it was a little lighter. Now that I have you drooling for fresh bread, you probably just want to know how to make this in a DASH? 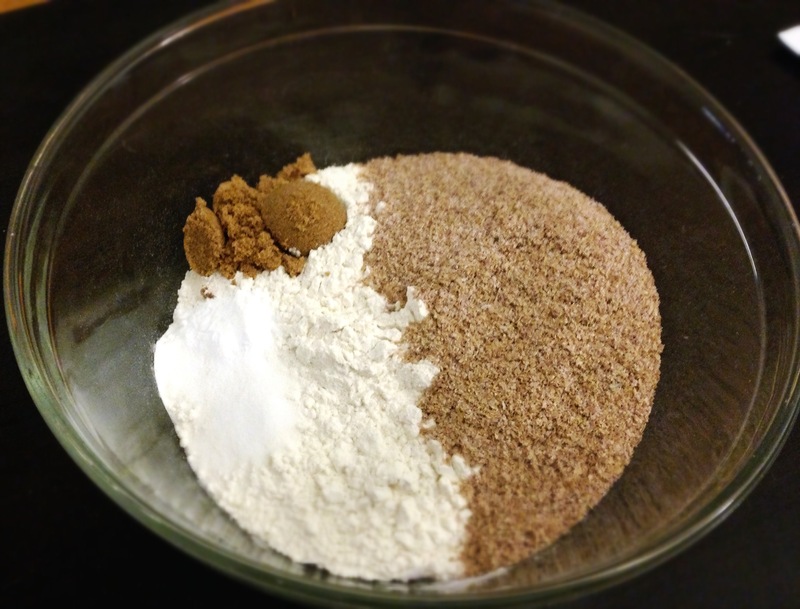 In a large bowl, combine all the dry ingredients and mix them well. 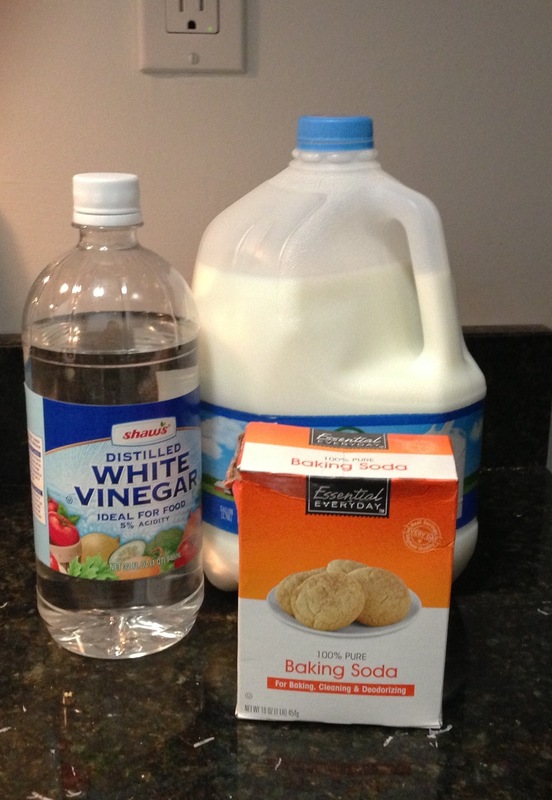 Then in a separate bowl, combine the vinegar and milk to make easy buttermilk. Stir and let this sit for about 5 minutes. 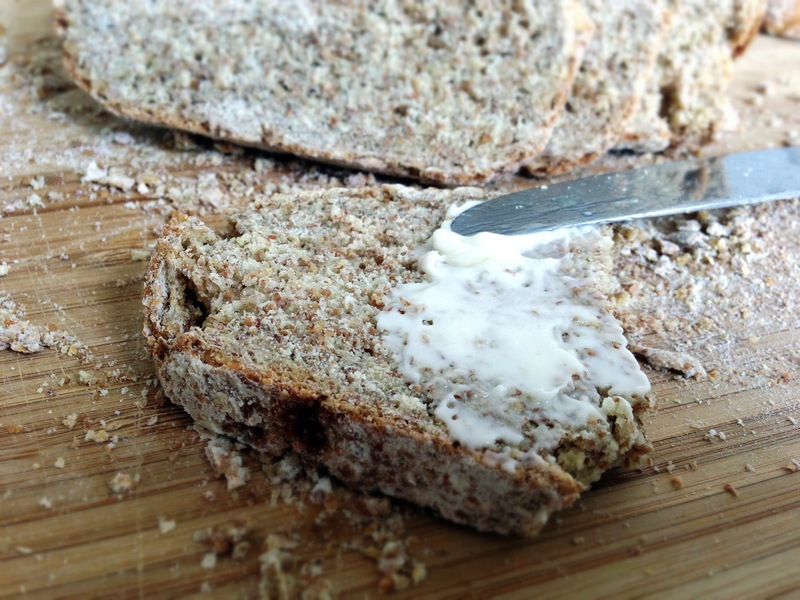 The secret to this delicious, soft and healthy bread comes from these 3 simple ingredients I bet you have in your kitchen! Next, pour the milk/vinegar mixture into the bowl with the dry ingredients and stir with a spatula or wooden spoon, just until combined. Don’t over mix. The dough will be sticky. Then add the dough to your greased loaf pan or form a loaf on a greased baking sheet. I have baked this bread both ways. It bakes great both ways! I just like doing it in the loaf pan, because it comes out shaped more like a loaf of bread. Bake at 350 degrees F for about 1 hour and TA-DA! Fresh. hot. bread! You can also slice and freeze the bread in a freezer safe bag for a few months. 3 cups white flour (you could do half wheat and half all-purpose – if you want a denser bread) – Be sure to measure flour by scooping into the cup. Do not scoop with the cup. Prepare a loaf pan (9”x5″) or a baking sheet by spraying with non-stick cooking spray or grease with butter. In a separate bowl, combine milk and vinegar. Stir and let sit for 5 minutes. Pour/scoop batter into prepared loaf pan or mold a loaf on prepared baking sheet. Bake for about 55-60 minutes, until toothpick/butter knife comes out clean. This bread is denser than bread made with just flour. If using for sandwiches, I recommend slicing thin. Store bread in sealed container or bag. If you would like crust to stay “crusty” do not store in air tight container. Freeze in sealed bag.